Weekend Puppy Sitters take puppies out of the NEADS Early Learning Center during the weekends to expose them to life in a home. The Weekend Puppy Sitter is matched with a puppy from the Early Learning Center but will not likely take the same puppy home for multiple weekends. Due to the puppy's young stage of training and the very short commitment of the puppy sitters, the sitter will not be allowed to take the puppy into places of business like restaurants, stores, hospitals, etc. Please note that to be considered for a puppy sitter volunteer opportunity, you must complete the puppy-sitter-specific application through the link below. Weekend Puppy Sitters help NEADS service dog candidates start their socializations, and complement the weekday puppy socialization and exposure program that takes place at the NEADS Early Learning Center (ELC). NEADS puppy candidates live on the NEADS campus and begin their training and socialization to become well-rounded service dogs. Weekend Puppy Sitters pick up their assigned puppy from NEADS campus and introduce the puppy to a home environment for a quiet weekend. UPDATE: Thank you for your interest in the Weekend Puppy Sitter program. Our program roster is currently full and we are not accepting new applications. Check back in the future for openings. Q: What does a “quiet weekend at home” mean? A: The Weekend Puppy Sitter (WPS) commits to staying in/around their home as much as possible when hosting the NEADS puppy, and creating as low-stress an environment as possible. Too much stress can result in the NEADS puppy developing GI upset and needing medical treatment. The home environment is a new experience, and that is enough novel stimulation. WPS can spend time with the NEADS puppy, play with them, and shower them with love and attention. If the WPS needs to run errands, the NEADS puppy may be crated at home for up to 2 hours maximum during the day. Although having some household visitors is okay, the WPS must supervise all puppy/visitor interactions, and visitors must also abide by NEADS handling methods and policies. Too many visitors can overwhelm the puppy. dogs find puppies to be irritating, and may not tolerate having a puppy near them. A negative encounter with another dog can be a training setback for the NEADS puppy. WPS are prohibited from taking the puppy on errands or field trips. NEADS carefully plans the socialization and exposure of program dogs, and at this stage the puppies are introduced on weekends to only the home environment. Additionally, NEADS puppies are in the middle of their vaccine schedule, and are vulnerable to diseases and parasites, which they can pick up in public areas. Those interested in doing advanced socializations and exposures like field trips, which come later in the dog’s training, should consider becoming a NEADS Weekend Puppy Raiser. Q: Will I have to buy food/equipment for the puppy? The WPS return all items to NEADS upon returning the puppy. Q: Will I have to medicate the puppy, and what does that involve? All NEADS puppies are on a probiotic, which can be put in the puppy’s food. In the unlikely event that the puppy is on other medications, or needs the “in-case-of-GI-upset” medications, these can also be put in the puppy’s food. Directions on administering all medications are included in the binder every weekend. Always contact the emergency on-call NEADS staff person before administering any “in-case-of-GI-upset” medications. Q: I have children/pets, can I still be a Weekend Puppy Sitter? A: Yes, absolutely. WPS applicants and their entire family are encouraged to attend the orientation, as this way all members of the household will know NEADS handling policies. WPS must always supervise puppy/children interactions; children cannot be left alone with the NEADS puppy. full disclosure on the WPS application of the behavioral and medical background of any dogs in the household. The NEADS puppy can have limited and supervised play time with pet dogs. Cats must be on year-round flea/tick preventatives, even if they are indoor cats. NEADS puppies are not allowed to stare down or chase cats; sometimes the best way to manage the puppy is to keep the cat(s) in a separate part of the home for the weekend. A: What commands does the NEADS puppy know? A: The two commands that puppies work on while they’re in the ELC are the command to get into their crate and the command to eliminate. The puppies have not mastered these commands yet. These are the only two commands that WPS will work on with the NEADS puppy. A: Is the puppy housetrained? How frequently do I need to take the puppy outside? A: NEADS puppies are not yet housetrained, so indoor accidents may occur. Taking the puppy outside, sometimes as frequently as every 30 minutes during waking hours, will help set the NEADS puppy up for success. The Puppy Development Coordinator will discuss other management tools at orientation, and advise on how to handle any indoor accidents. Q: Do I need to give the puppy access to my whole house? A: No, it is fine if only 1-3 rooms are gated off for the puppy. The NEADS puppy must always be on leash (even when in the house) and supervised when they are out of their crate. At night, the NEADS puppy should sleep in their crate, either in the WPS bedroom or within hearing distance of the bedroom. Q: I don’t have a fenced yard, can I still be a WPS? And if I don’t have a yard, can I take the NEADS puppy to a dog park? A: It is okay if WPS don’t have a fenced yard, but the WPS must have access to a safe area outside where the NEADS puppy can eliminate. A shaded or grassy area is necessary during summer months, as puppies are at risk for burning their paws on hot pavement. Even if WPS have a fenced yard, NEADS puppies must be on leash at all times. NEADS puppies are not allowed in dog parks. While some parks are safe, others may have aggressive dogs. Introducing a NEADS puppy to other dogs at the park can be dangerous, as the dogs that are already there may be a pack, have established the area as their territory, and may be aggressive towards a newcomer. Other dogs who attend the park may not be vaccinated, and so there is also a risk that the NEADS puppy could pick up diseases or parasites at dog parks. Q: What do I do if the puppy gets sick while in my care? A: Contact the emergency on-call NEADS staff person; their number is included in the binder. Sometimes, if a puppy becomes overly stressed, they can develop GI upset. In the bag that goes home with each puppy, medication is provided in case this situation develops. Always contact the emergency on-call person before medicating the puppy with the “in-case-of-GI-upset” medications. Q: How old will the puppy be, and what breed? A: NEADS puppies typically range in age from 8 weeks to 12-14 weeks, and NEADS primarily works with Labrador retrievers. Q: Can I name the puppy? A: Unfortunately, no. When WPS meet the NEADS puppy they will already have a name. NEADS puppies are named through the Name a Puppy program. Those interested in naming a NEADS puppy should visit this page on the NEADS website for more information. Q: Do I get to choose which puppy I take home? A: No. The Puppy Development Coordinator assigns puppies to homes based on various factors. Sometimes, a particular puppy would do better in a home with children, or with no other dogs, etc. Q: What are pick up and drop off hours at NEADS? A: Pick up hours from NEADS campus are Friday late afternoons, before 6pm. Drop off hours to NEADS campus are Sunday evening or Monday morning. If a puppy is scheduled to leave campus that Monday, the puppy may be required to be dropped off on Sunday evening instead of Monday morning. During holiday weekends, drop off is pushed to Monday evening or Tuesday morning. For major holidays that do not fall on a weekend, NEADS will advise WPS in advance what the schedule is. Please plan to keep the puppy for the full weekend, as the ELC is closed on weekends and cannot accommodate pick ups or drop offs that are outside of the regular time frame. If WPS are unable to provide an entire quiet weekend at home, please choose a different weekend to volunteer as WPS. If an emergency comes up, or if the puppy becomes ill, contact the emergency on-call NEADS staff person. Answer the pre-qualifying questionnaire. Then, if you meet the pre-qualifying conditions, print out and complete an application, which can then be mailed, faxed, or scanned/emailed to NEADS, care of the Puppy Development Coordinator. Attend an orientation. The primary WPS must be 25 or older, though the entire family is welcome to attend the orientation. If the WPS rents their home, written permission from the landlord that the WPS applicant is allowed to participate in this program. The Landlord Consent Form can be found on the NEADS website. Pictures or video of the WPS home, specifically any/all rooms and outdoor areas where the NEADS puppy will be spending time. Puppies explore their environments with their mouths, and the pictures/video will help the Puppy Development Coordinator help the WPS in puppy-proofing the home. Q: How frequently can I volunteer as a WPS? A: WPS are strongly encouraged to volunteer one weekend per month, and are welcome to volunteer more frequently if it fits their schedule. 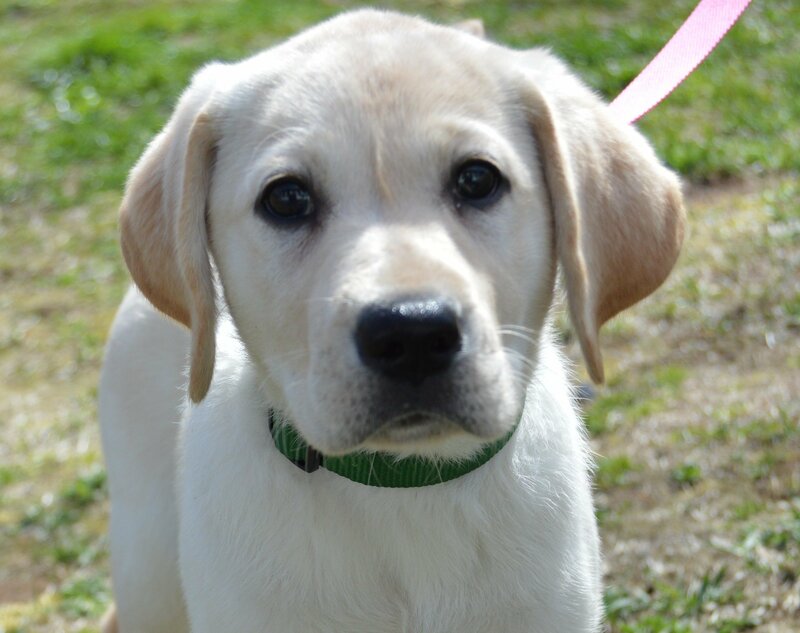 However, NEADS cannot guarantee that a puppy will be available every weekend that the WPS would like to volunteer. Q: How soon will I get to take home a NEADS puppy? A: NEADS strives to send home a puppy with new WPS within 2 weeks of the WPS attending the orientation and submitting all necessary information!